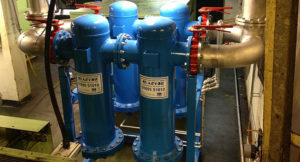 Why invest in air compressor condensate management? What is air compressor condensate and why treat it? Do you have a regular air compressor condensate management system? Users who dispose of condensate by simply pouring it down the drain are risking heavy fines. This is because the condensate that has accumulated during the production of compressed air is a highly noxious mixture. In addition to solid particles, condensate contains hydrocarbons, sulphur dioxide, copper, lead, iron and other substances caused by increased environmental pollution. To conform to current legislation the contaminated condensate must be treated before disposal. Due to increased atmospheric pollution, condensate from oil-free compressors still contains a considerable proportion of oily components. Such condensate often exhibits high proportions of sulphur dioxide, heavy metals and/or other solid particles. This condensate is generally aggressive, having a pH value between 3 and 6. Condensate of this quality cannot be disposed of as wastewater, even though this is often claimed. Of course, it is possible to collect the condensate and have it disposed of by a specialised company but this would be at considerable cost. Normally condensate is treated via gravity fed carbon filters sometimes with, and sometimes without, separating chambers where the oil layer that floats on the top can be automatically skimmed off. This method saves up to 95 % of the costs involved compared to using a specialised company to dispose of the condensate. In many cases the condensate from oil-free compressors must be treated with a chemical separating process. This includes pH neutralization through the addition of alkalis and the binding and concentration of heavy metallic components in a filter cake which has to be disposed of as hazardous waste. This process is by far the most complex. Special disposal approval must be obtained that covers not just possible oil components in the condensate but also concentrated pollutants drawn in from the ambient air. The latter can contaminate the condensate considerably. But what is air compressor condensate? Considerable quantities of condensate are generated when compressed air is produced. However, the term ‘condensate’ is misleading as it could be misunderstood to mean only condensed water vapour. In reality every compressor works like a vacuum cleaner sucking in contaminated air from its surroundings. The contaminates are then held in a concentrated form, in both the compressed air and the water that condenses out of the compressed air. When compressed air is subsequently filtered and dried further condensate is produced. At Glaston we can offer a wide range of condensate treatment methods by numerous manufacturers to best suit your requirements. 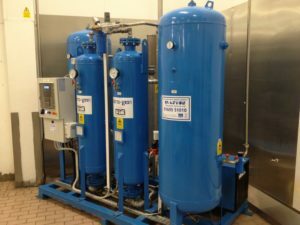 We are specialists in compressed air and nitrogen generation, and can supply a solution to best suit your individual needs. To ensure you meet your environmental regulations please feel free speak to our expert team of engineers at Glaston for help and advice on your condensate treatment requirements. For peace of mind Glaston is registered to ISO 14001 for environmental management. 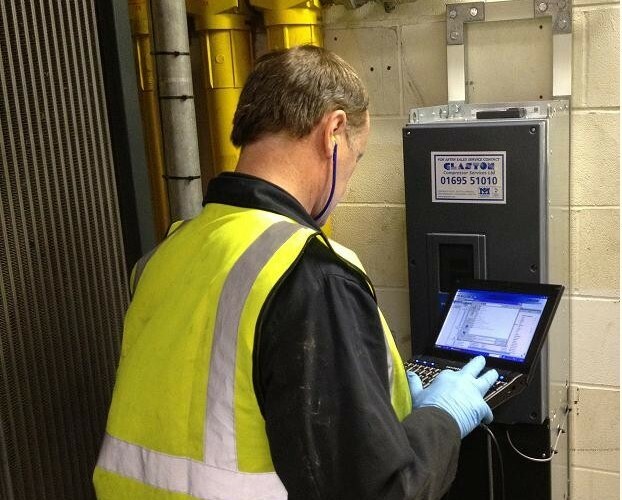 Speak to an engineer about your air compressor condensate management today on 01695 51010.